The time has come to show you the Main Menu of the game, which might not sound super-exciting at first, but with the title screen artwork in its background it's quite a beauty. I'd rather not waste words on the menu points, they speak for themselves. Another character who plays a very important role in the Prologue, Javek is a young sorcerer who uses telepathic abilities. 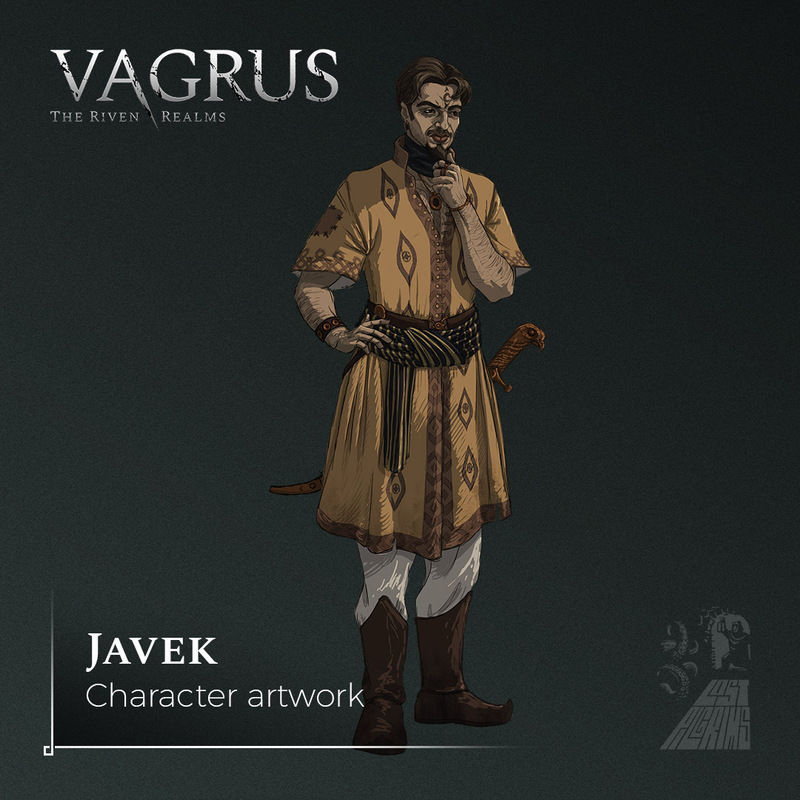 He is of Tarkian origin and because the Imperial province of Tark is based on early Persian and Turkish cultures from real life, Szonja designed Javek's appearance to match those in clothing and equipment. We are very excited to announce that as of now, we have our own Steam Store page! 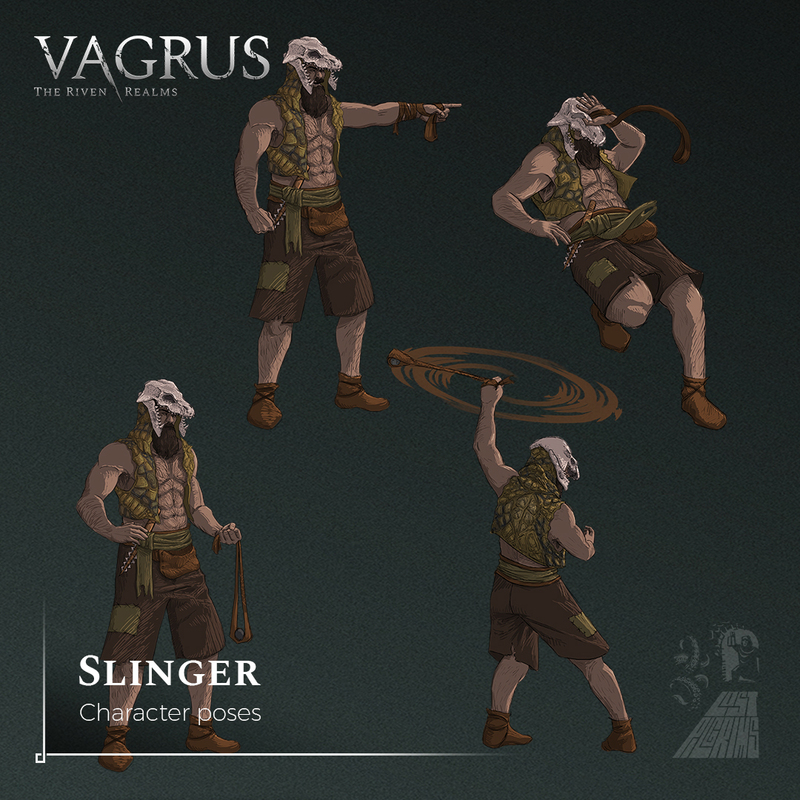 It is finally time to look at the stats and systems related to the vagrus, that is, YOU, the player's character in the game (aka Leader). You can interact with the Leader UI screen (opened by clicking the leader's medallion in the bottom left) in order to manage said stats and improve your character. 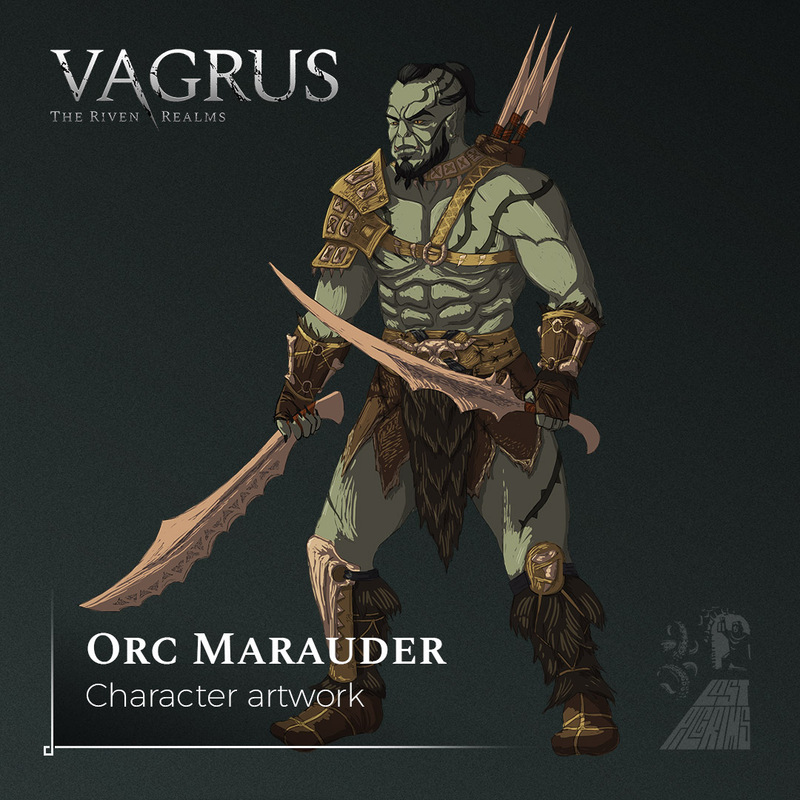 This week's character reveal is the Orc Marauder. Orcs are popular fantasy characters with many different iterations since their addition to fiction by Tolkien. The Orcs of the Riven Realms are creatures prone to violence, sharing a mystical past and origin but they were created fairly recently. 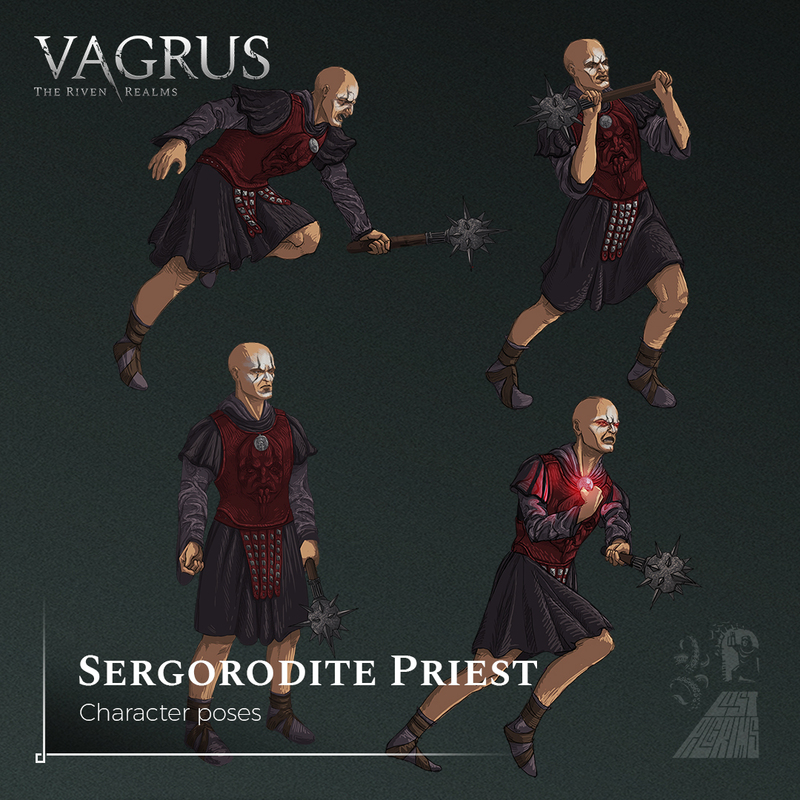 They are tribal in their homeland called Darkmoor but rarely travel in groups when far from it. 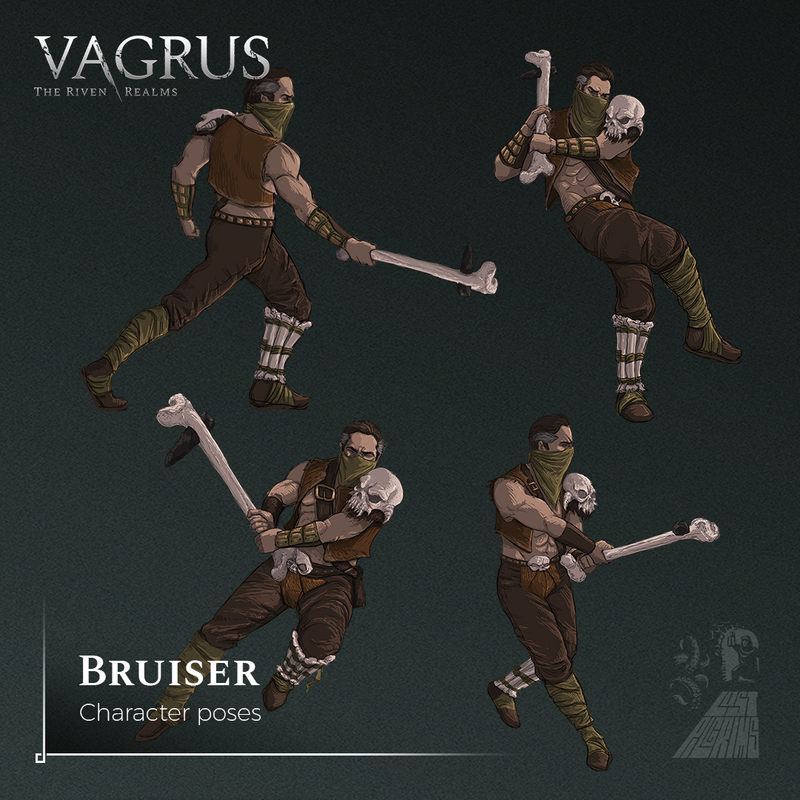 It is time for a combat update!